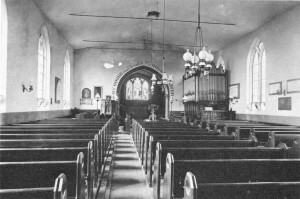 There has been a chapel or church recorded in our town of Milton since some time in the 1260’s when the Calcombe or Chaucombe family are known to have been linked to its building. The first reference to our church is in a note, listing moneys owed to the Bishop of Winchester in 1270. It was recorded that the Chapel at Milton owed 15d. In 1288 it was noted that Milton chapel owed Christchurch Priory a wax candle and three shillings. 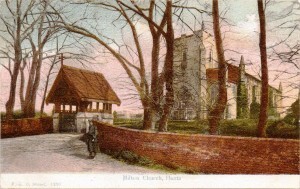 By 1403 There was a field in Milton called ‘Church Furlong’ indicating that Milton had progressed from having a chapel to being a village with a church. The Church was dedicated to St Mary Magdalene. It is the only church in Hampshire named after the Saint. In the 14th century there was an annual fair held in Milton on St Magdalene’s Day, July 22nd. 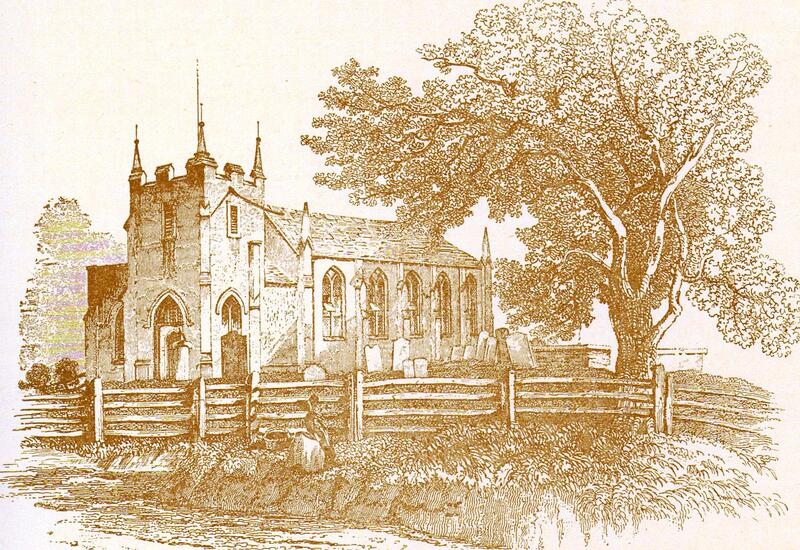 In 1832 the original Church was pulled down apart from the Tower. 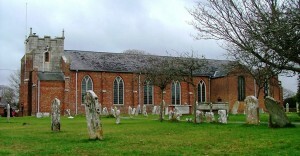 The existing Church was rebuilt with a brick nave and chancel. 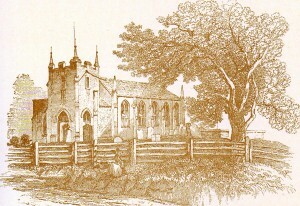 This engraving of the Church in Milton is taken from Mudie’s “Hampshire” which was published in 1838. The entrance to the Church was via the south west part of the nave. This was later changed to incorporate a new doorway on the West side of the Tower, where it remains to this day. The inside of the Church showing the layout before restoration is shown in this postcard dated 1905. 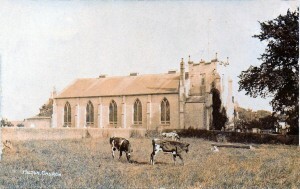 This image below of the Church is taken in the early part of the 20th century. The fields and cows have given way to the car park and the Church Hall. It was in 1932, in the garden of the Church Hall, that the caretaker, Mr Thomas Selby, unearthed a Neolithic circular stone hammer. Inside the porch way of the tower, there is a most striking effigy of a soldier and commander of the royal guard. He was Thomas White. He served three Kings and Queen Anne. 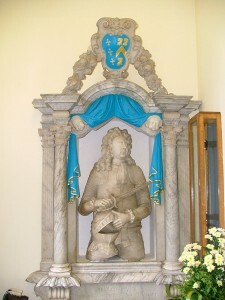 Although his family home was at Fiddleford in Dorset, he lived at Fernhill Manor, and on his death in 1720 he was buried in the tower porch. His sword, made by the celebrated Spanish craftsman Andrea Ferrara, is on display in a case near to his effigy. In 1727, Frances, the widow of Thomas White gave the Church a set of communion vessels which are still in use today. 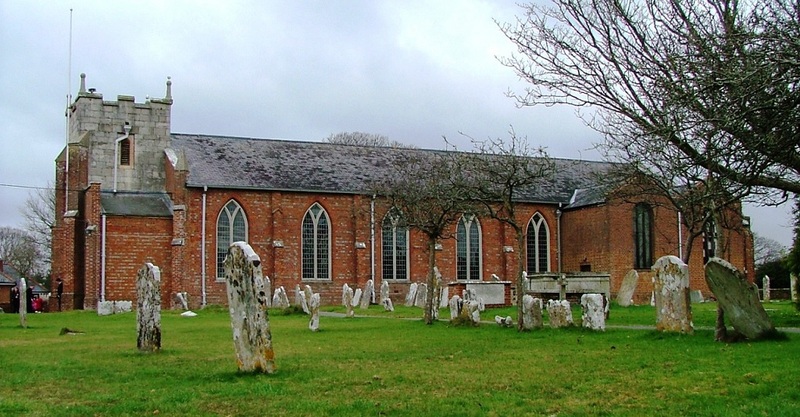 The Church of St Mary Magdalene has been serving our town’s spiritual needs for hundreds of years and will continue to do so for many years to come.